An international industrial communications company has doubled its office space in the region following a period of strong growth. HMS Industrial Networks, a Swedish technology company, set up its sales and marketing operations at the University of Warwick Science Park’s Venture Centre four years ago has gone from strength to strength, expanding from one full time and one part time member of staff to a team of eight, with hopes to recruit more over the next calendar year. HMS’s move to the UK was facilitated by the Science Park’s inward investment programme called UK Market Access Program (formerly Bridge to Growth) which helps foreign-owned companies start and grow in the UK. David Bradley-Folley, general manager of HMS Industrial Networks for the UK and Ireland, is delighted with the team’s growth over the past four years. “After having landed large scale contracts and increasing turnover year on year, our sales and marketing team is more in demand than ever and we now have a full national sales force operating in the Coventry offices,” he said. “HMS grew globally by over 30 per cent last year and our UK operations reflected the same level of growth. As we look to continue that trend, the expanded office space became necessary to ensure we continue to provide an excellent support service as well as develop in future. HMS Industrial Networks is the world’s leading independent supplier of products for industrial communications, such as CAN, Profibus and Ethernet which enable industrial devices such as robots, motors and sensors to connect to industrial networks as well as offering complete remote monitoring and control solutions. The company currently employs more than 350 people worldwide and, as well as the UK, has operations in Sweden, Germany, China, France, Denmark, Italy, India, Japan and the USA. 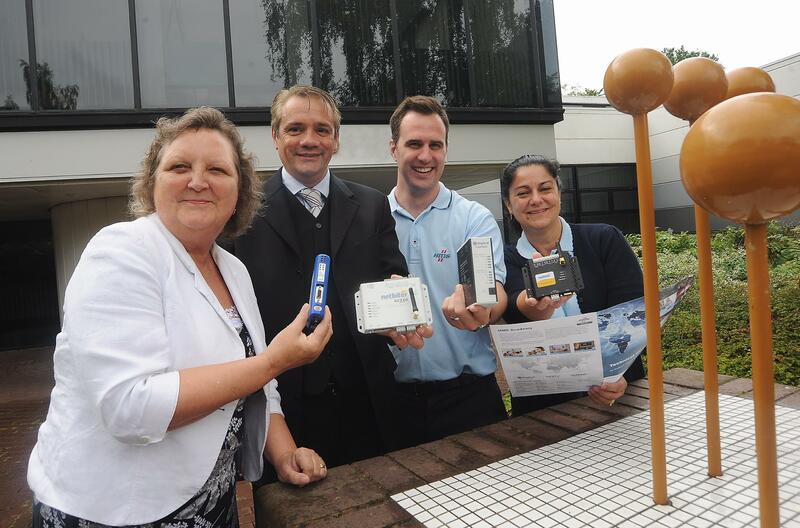 Karen Aston, centre manager at the Venture Centre, said: “It is fantastic to see HMS Industrial Networks growing here and that our soft landing programme helped them to make the first step into the UK market. “The company is benefitting from the flexibility of the space and the fact that it has been able to grow at its own pace.